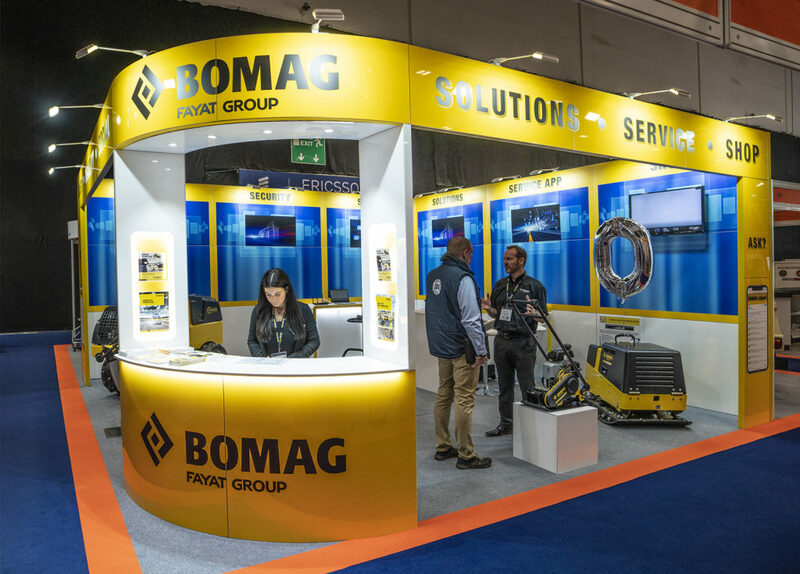 BOMAG put on an impres­sive exhib­it at EHS is Feb­ru­ary using the new stand shown above, which was designed by New Wave Mar­ket­ing and build by Love Expo. The stand fea­tured BOMAG’s Ser­vice App, two #ZEROHAV machines and video. The stand will be used again in 2020 with a few rel­e­vant updates mak­ing it a cost effec­tive solu­tion for the client.